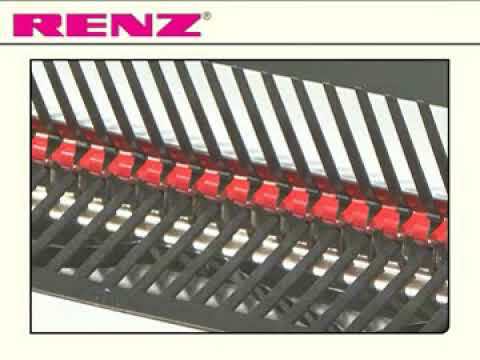 The RENZ PBS 340 is a manual binding machine for binding RENZ® plastic combs from 6 to 52 mm (1/4 inches - 2 inches), either in US pitch or in EUROPE pitch. The PBS 340 module can be connected to the desk top punch DTP 340 M to become a high-capacity and space-saving punching and binding system. US pitch 21 rings in A4 / EUROPE pitch 24 rings in A4. Made in Germany. If you wish to use this machine as a stand-alone unit then you must purchase the module holding device separately.